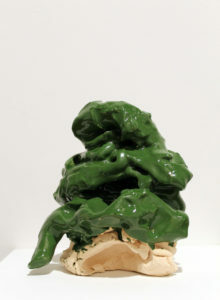 James Harris Gallery | Alwyn O'Brien: "Essay in Objects"
Alwyn O'Brien: "Essay in Objects"
James Harris Gallery is pleased to present our second solo exhibition by Canadian artist Alwyn O’Brien. 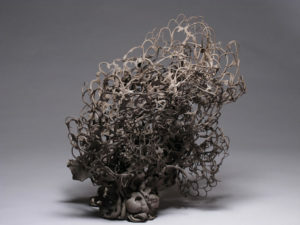 The artist creates both slip cast and hand built vessel shaped sculptures. 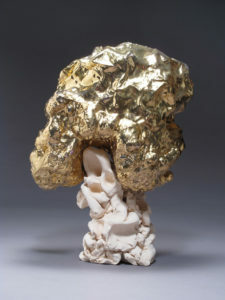 The show is a direct response to the artist’s passionate work in a nursing home where personal objects act as triggers and links to the past. 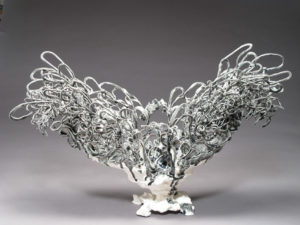 The works manifest a hybrid identity as deconstructed period pieces, recalling the exaggerated motion and biomorphic animation of the highly decorative baroque. For O’Brien, “The surface has become the object rather than the decoration. 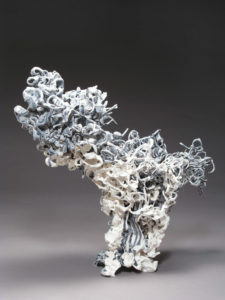 It has become free of the vessel’s three-dimensional form, and is able to claim its own space.” Uninhibited by the functional surface restrictions of a vessel, O’Brien’s hand-rolled coils and fragile shavings of porcelain activate the overall shape and act like moving tendrils creating the appearance of motion, destruction, and despair. 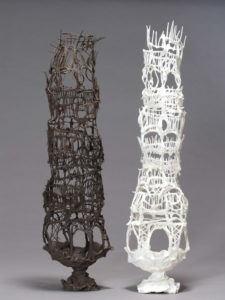 The slip cast pieces are a counter balance to the more delicate works in that weight and volume are more considered. 24 3/8" x 15 1/2" x 7"